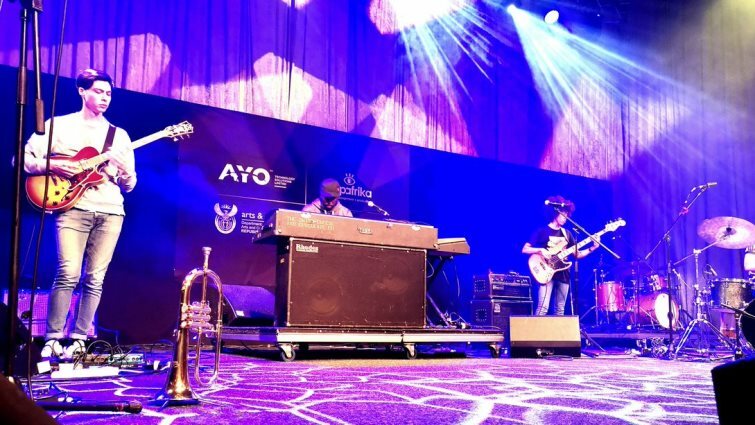 The 20th annual Cape Town International Jazz Festival kicked off in Cape Town on Friday. Over 40 local and international acts are on the bill this weekend, catering to diverse audience. The event draws thousands of music lovers to the Mother City each year. Acclaimed South African singer and songwriter Steve Kekana opened the festival on the Kippies stage. With more than 45 albums to his credit since his first single in the ’70s, the SAMA Lifetime Achievement Award winner said it was an honour to be performed at Africa’s Grandest Gathering. The Cape Town International Jazz Festival is among the biggest of its kind in the world, drawing over 30 000 revellers over the two days. The event is a highlight on Cape Town’s social calendar, and contributes significantly to the local economy. On the Basil Manenberg Cotzee stage, the frontman of the 80’s United Kingdom band, Curiosity Killed the Cat, had revellers dancing to familiar tunes. Organisers say while the festival caters for music lovers across all genres, jazz remains the main focus. The late African jazz legend Oliver Mtukudzi, who was set to perform at the 2019 event for the first time, will be honoured at the festival. Revellers say it is more than a musical event, which is indeed an Easter holiday way of life. About 30 000 are expected to descend in Cape Town for the two-day weekend event. These festinos says they keep coming back every year. The post Cape Town International Jazz Festival kicks off appeared first on SABC News – Breaking news, special reports, world, business, sport coverage of all South African current events. Africa's news leader..